Nearly one year ago I was preparing for the publication of my book—Idiot’s Guide: Gluten-Free Eating. Obviously, I was enthusiastic about its arrival. 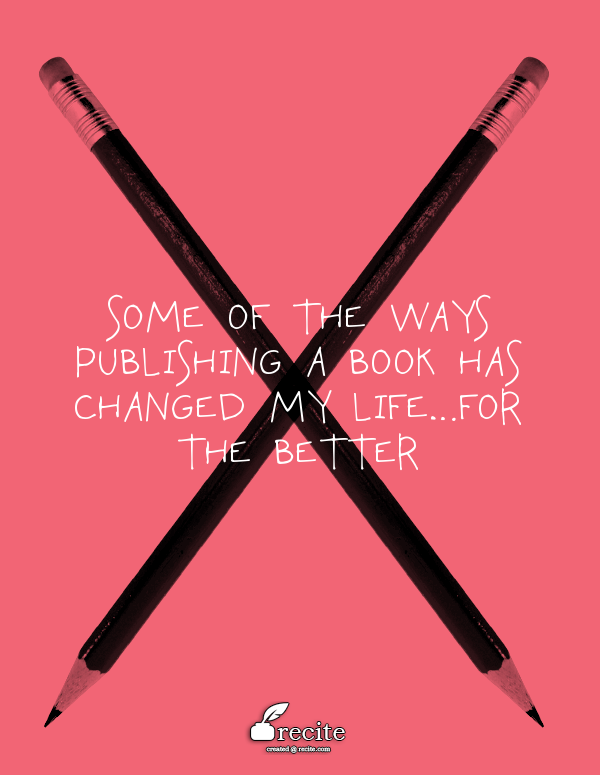 However, as many published authors can tell you, publishing a book didn’t change my life…well, not in the ways some might dream for change. Can lead to other books. In the middle of the year, I was approached to write another book. I chose not to sign a contract due to an over-scheduled patch. I’m keeping myself open to other books and have a couple ideas I’m preparing to pitch in early 2015. Can lead to other projects. This is the area that has been robust for me. Lots of other projects appeared after my publication date. One was to teach classes at a community college. In the spring I’m teaching one this spring at a lifelong learning institute and I’ve been approached to develop nutrition workshops for kids. The most exciting venture for me is that I’ve expanded my business to work with health and wellness professionals. Introduced me to the can-do effect. I know that I can write a book now. For someone—ME!—who had her doubts about completing a large project, this is a biggie. I know that I can do it again, which has helped build my confidence. I’m less hesitant in contacting people, which has led to other freelance work. I’m now trying to figure out where I want my 2015 writing energies to go…food or fiction? Or both? Exposed me to more communities. In the past year, I’ve (re-)connected with those in the gluten-free community, as well as the writing community. (Publishing also made me appreciative of others’ work, especially when I’m reviewing books.) Once outside my bubble, those communities I was quietly part of, embraced me and took me back in their folds. They also enabled me to learn about other people or groups doing similar work or writing. I have definitely learned the importance of community! All the writerly best for 2015! I am planning on finishing my NaNoGoneWrongO (from several years ago) in 2015. Have a great start to this new year. I have a lot of goals. Sometimes I wonder if I have too many. I try not to be too hard on myself aND you never know, maybe one of these days, I'll accomplish them all!